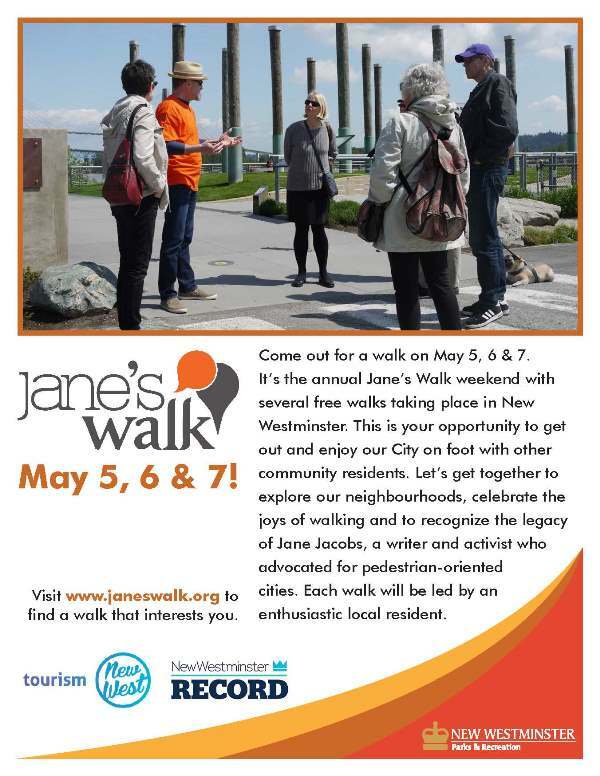 The annual Jane's walk weekend is this upcoming weekend May 5-7th 2017. There are free walks taking place around New Westminster & Vancouver areas. Walks will be held rain or shine!